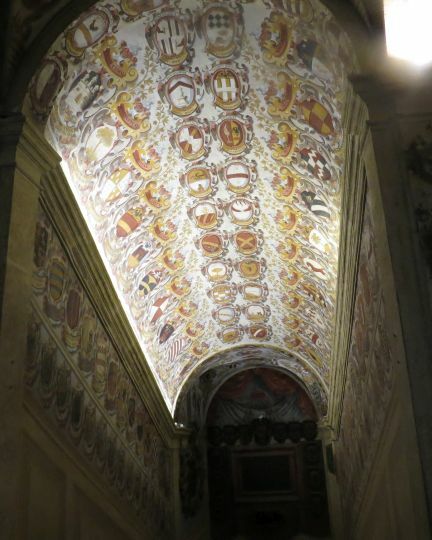 The last couple of pictures from Bologna are all from the Archiginnasio, the old university. Today, the building hosts the university library. It is open to the public and you can enter freely to admire the galleries and the lavishly decorated stairways, of which see an example here.